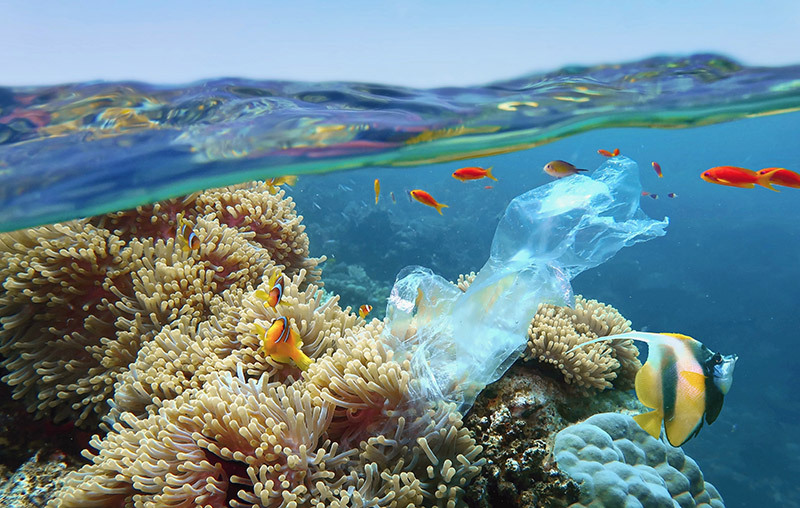 It’s a reality fact that scuba diving, as a growing industry, can be very damaging to the reefs. The saddest part of this truth is that it doesn’t have to be damaging, at least not that much. Indeed, if every scuba diver that enters the water would be knowledgeable and aware of its potential impact on the ocean, they would be more cautious and adopt environmentally safe practices. Let’s take a look at how you can ensure you become an eco-friendly scuba diver. As we know, to make a diver, it takes a diving school. To make a diving school it takes educational programs certified by international agencies. Thus, it’s the whole process that must be improved. We need to learn more about the safest and best practices in scuba diving. It’s imperative that we reduce our impact on the marine life and the reefs when diving. They are already affected by our human behaviour on land. It’s established today that, among other things, plastic pollution and global warming are literally harming the sea life. So, as humans we have to change our habits, and as divers we have to ensure that we reduce our impact when scuba diving. The first point in being an environmentally friendly diver appears as remembering that we are nothing but privileged visitors in the underwater world. Indeed, we should act consistently with the status we are given and treat this world with respect. Thailand is a good example of country that has been overflowing with tourists, and which now needs to protect its environment because of this. Scuba divers had become “Mr. and Mrs. Everyone” and these don’t necessarily feel concerned by that privilege they have to be discovering the underwater world. Thus, it’s important to put things in perspective. Let’s put ourselves back in the position where we belong, as privileged visitors. “Take nothing, but photos and leave nothing, but bubbles.” This is the truest and most important quote that every scuba diver, old or new, should know. Not just a pretty punchy sentence. Learn to scuba dive with an environmentally-friendly dive centre. This often implies that it won’t be the cheapest and that the managers will be putting quality over quantity. Travellers that have been to South East Asia will agree to say that some dive centres are what we call “diver factories”. It’s very important to realise how bad these are. Dropping a bunch of divers, rushing towards their SSI or PADI certification, in the waters of Thailand, the Philippines or Indonesia does everything but help the marine life. The ratio of diver per instructor often doesn’t allow the instructor to have an eye (nor to control) its students. What happens is that you then have a bunch of snorkelers and divers stepping on corals. They might be touching the reefs, either intentionally or not, and grabbing corals. Learn to scuba dive at your own rhythm. Take time to learn, inquire and ask questions to your knowledgeable dive instructors. The more you know about the marine life and the sport of scuba diving, the better your behavior and skills will be underwater. It’s for the sake of both your safety and the marine life’s well being. Practice your buoyancy in the pool or on a sandy patch in the sea until you’re all in for straight A’s! A bad buoyancy is what causes inexperienced divers to touch corals and marine life in most cases… and that does way more harm than good to the sea life! Practice your movements in the pool or on a sandy patch. Plus, when you don’t know the dive site and might be expecting currents, stay close to your instructor while learning, or guides in other cases. 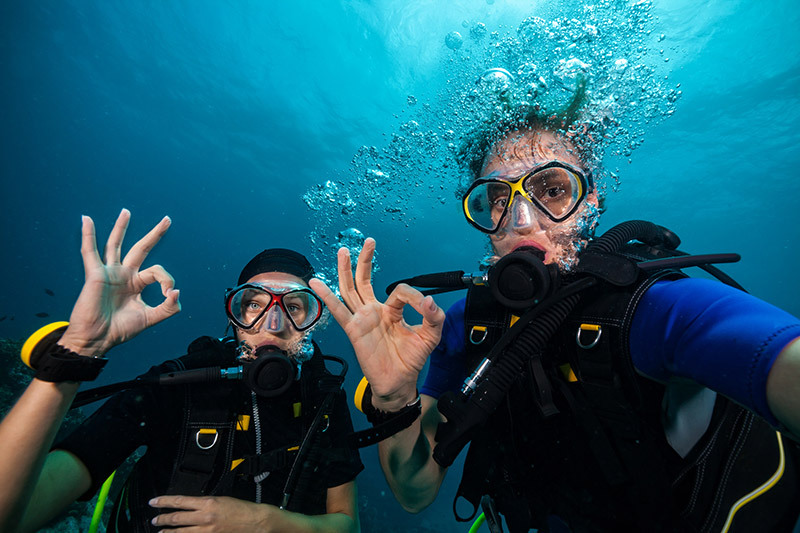 The point is, the more familiar you are with diving, with the dive sites and with the various conditions such as currents, the better diver you are and there are less chances that you lose control of your movement or buoyancy. Observe seasoned divers, how do they react, how do they move? Practice and experience if often the key! Do not touch or take the coral… ever. Plus, if you are a seasoned scuba diver or even an instructor and you think this is an “okay thing to do”, please ask your friend Google about it and read a few papers written by scientists. It’s unfortunately not 1990 anymore. Back when there’s wasn’t so much pollution and maybe 100 scuba divers in the whole world. Today’s underwater world is so stressed by so many factors that the basic rule to teach and learn is obvious; no touching the corals, no grabbing! Alright, just by reading this article you’ve made yourself more knowledgeable and aware regarding how to be a responsible diver with eco-friendly practices. Now, please don’t forget to share and help raise awareness. That everyone has a chance to become an eco-friendly scuba diver. Myryame is a bilingual freelance blogger, website manager and designer with a passion for life that pushes her to write about lots of topics, both in French and English. Travel, snorkeling, scuba diving, fitness, health and lifestyle are where she focuses her writing! You can read her articles on many blogs and follow her journey through the world on Instagram – Nomadic_mye. Plus, Myryame uses her voice online to raise awareness about causes that are dear to her heart such as the global warming and environmental issues.